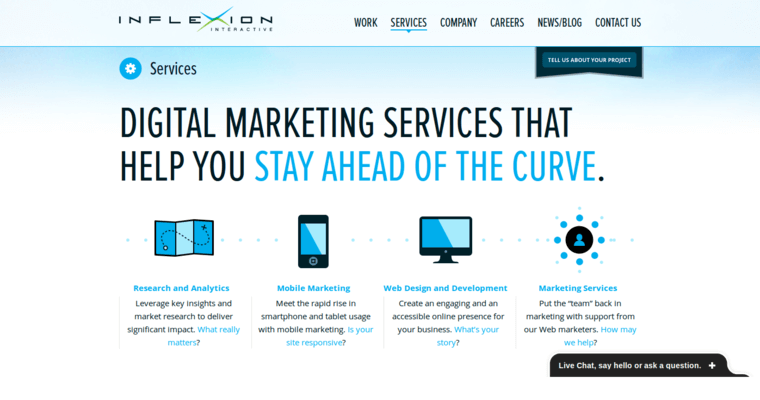 Inflexion Interactive is a group of productive, progressive web design and development professionals. Because the online domain is subject to ongoing shifts and changes, the company's professionals maintain the cutting edge, flexible outlook necessary to ensure that the client's marketing campaign is relevant to the contemporary world. 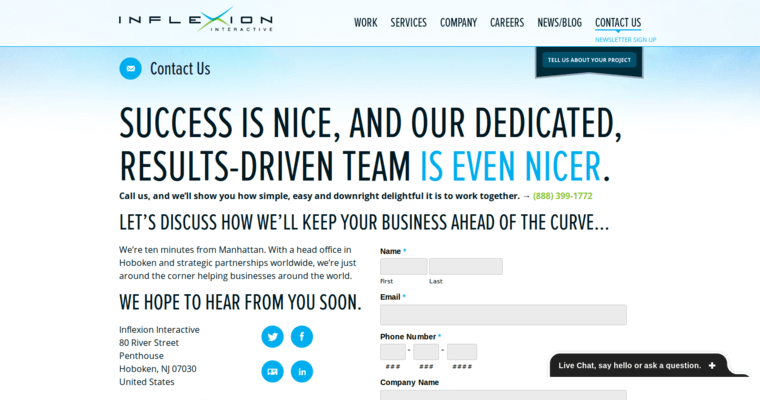 At Inflexion Interactive, techies place primacy on maintaining a detail-centered, goal-oriented work ethic that engenders the production of impeccable websites. 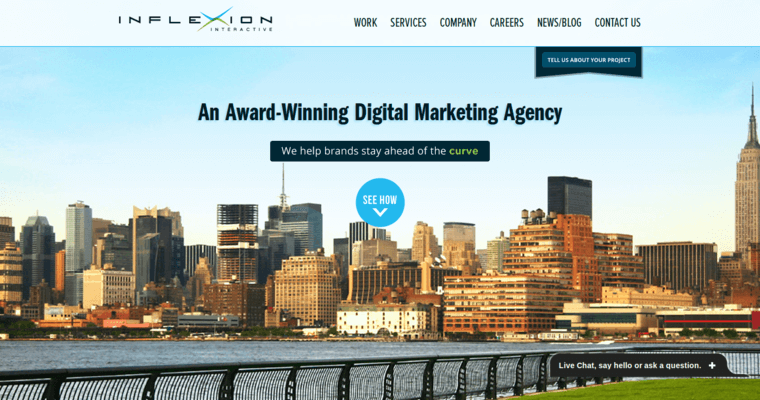 In addition to being optimized for connectivity and community, the Inflexion Interactive crew is pleased to create sites that have immense, intense visual appeal. Contact the Inflexion Interactive professionals when you're ready for your company to create buzz in the Internet domain.